ATSI Systems is a leading provider of the highest quality voice, data, video, fire alarm, access control, and security system services in the Chicagoland area. ATSI creates custom technology solutions by specializing in design, project management, and installation of electronic systems for a wide range of applications. ATSI was launching a new brand campaign with the end-goal of highlighting their wide range of custom technology solutions. 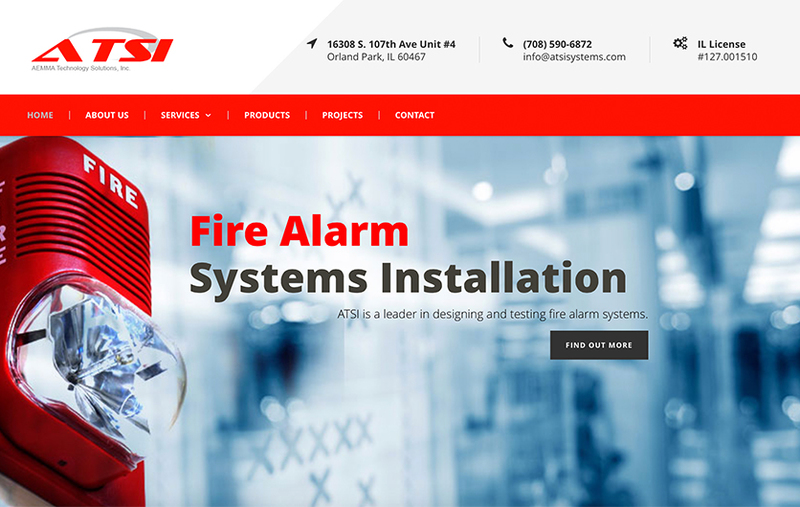 We needed to give them a website that created brand awareness and answered “what does ATSI Systems do?” They were looking to improve their web presence for a better way to showcase their high-quality resources. 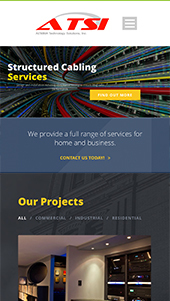 To start, we tackled the challenge of creating brand awareness and got to work answering “what does ATSI Systems do?” For new visitors to the site, they needed to immediately and distinctly present ATSI's brand messaging with a clean, modern web design.